a Light the darkness cannot overcome. feeling dwarfed by the grandeur of God. I felt seized by my unworthiness. as a daughter, wife, mother, friend, and child of God. If I could do this all again, I’d do it better. Then I wonder if I really would! yet I know that is a lie from the pit of hell. not as I long to be. He sees me as pure as the new fallen snow. Matthew lists in the lineage of Christ. I hope you will join us this Advent! for her son, Judah, is mentioned. Christ is the Lion from the tribe of Judah. that the world says makes a woman valuable. and had mercy on her. 2. Do you find, as Martin Luther said, that “the default mode of your heart is works righteousness?” Do you often feel the reason you suffer is that God is punishing you for your sin? Do you often feel if you only lived better He would love you more? Be as honest as you can and then refute those lies with Scriptural truth. Monday: Orphan or Child of God? 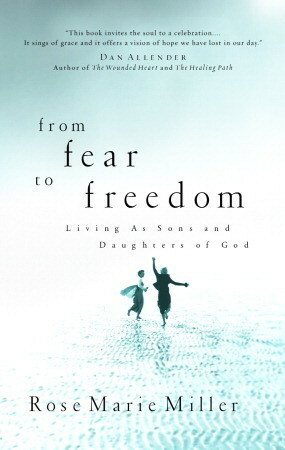 I recently finished a spiritual autobiography by Rose Marie Miller (widow of Jack Miller) called from Fear To Freedom. She moved from always feeling like a victim and living “like an orphan” to learning to live into her identity as a beloved child of God. She said she had a “victim” mentality, always blaming others. It’s a worthwhile read. Many of the women in the genealogy of Christ were oppressed and abused, yet they rose above it. How? Through works righteousness? No – by coming to trust the love of God. Surely Leah had reasons to see herself as a victim. We’ve studied Leah before here, so I’m going to trust you know the basics of her story, but do a simple review today before we approach her from a new angle. Jacob’s mother Rebekah urged him to deceive his blind father and dress up like his brother to get the blessing they both wanted for him. Now Leah’s father dresses Leah up like her sister to deceive Jacob. Leah might have wanted this too — we can’t be sure. But it seems Leah’s lack of outward beauty is what caused Laban to come up with this ruse and pawn her off through deceit. She was veiled heavily, like the orthodox Jewish bride in this photo, and there were no electric lights, so she made it through the wedding and the wedding night without being discovered. A. What was Jacob’s reaction when the morning light came? B. How would you have felt if you had been Leah? C. Tim Keller thinks it is possible that when Jacob used the word “deceived” that God’s Spirit cut him to the heart, reminding him that he too was a deceiver. Thoughts? D. How long did Leah have Jacob to herself. Read carefully. E. What do you learn in verse 30-31 about Jacob’s feelings for Leah? F. Imagine what life was like for Leah. What reasons might she feel like a victim? G. Who did love Leah? A. What did Leah name her firstborn son and why? B. What does this tell you about her relationship with God? C. What did Leah hope would happen as a result of giving Jacob a son? D. What did Leah name her second son and why? E. What does this tell you about her relationship with God? F. What did Leah hope would happen as a result of giving Jacob two sons? g. What did Leah name her third son and why? What did she hope would happen? H. What did Leah name her fourth son? Why, do you think? i. How do you see a turn? Pastor James Noriega said, “We worshipped our way into this mess, but by God’s grace we will worship our way out.” He was speaking of idolatry, which we see in Leah’s life. She thought what she needed most was her husband’s love. Worship can also help us out of the pit of victim mentality. God is not against us but for us, and remembering that got Leah out, and can do the same for us. She felt the hurt inflicted upon her, yet she went from victim to victor. I think we all have times of feeling forgotten, lonely, even unloved. This week I was fearful about dealing with my broken hand as a widow. But I started praising God for past mercies and it helped me do a “Leah turn.” I often also will listen to and pray this song by Fernando Ortega, and it helps me worship my way out of the pity pit. 5. Leah reminds me a bit of Hagar, who “saw the God who saw her.” What, through the naming of her sons, can you see that Leah knew about God? 6. Worship the Lord by remembering a time when, like Leah, you sensed God saw your misery, heard your cry and responded. What was it and why do you think He saw you and cared? 7. What musical artist or album helps you to worship during Advent and why? You cannot watch a Hallmark Christmas movie without being impacted by what the world thinks makes a woman valuable: outward beauty and the love of a hunky man. We certainly haven’t changed much since the days of Rachel and Leah. I admit I have enjoyed some of the Hallmark Christmas movies, but at Hallmark it seems it is always Christmas and never Jesus. The solution to life’s emptiness is “the romantic solution,” not Jesus. It does remind me of Leah’s mindset until God brought her to her senses. 8. What is redemptive and what is destructive in Hallmark Christmas movies? Is there a Hallmark movie or show you have seen that you recommend? If so, why? Both physical beauty and the love of a good man are gifts, but they can never satisfy our deepest longings. Take Rachel, who had both of these gifts. 9. What do you learn about Rachel in the following passages? 10. How would you describe Rachel’s character, relationship with God, and legacy? Without knowing fully what we are doing, we hide the things we secretly love under our skirts, like Rachel, sitting primly and righteously on our camels, wondering why we are not whole, why we still suffer, why we are not reconciled to the God we profess. 11. What do you learn about Leah’s legacy from the following? I may be reading more into the above than is there, but I wonder if Jacob came to appreciate Leah and liked the idea of being buried near her. What do you think? 12. How would you describe Leah’s character, relationship with God, and legacy? Tim Keller has two wonderful sermons on this story, and both are free. Many of you have already heard the older one, “The Girl Nobody Wanted,” so you may want to listen to the other one “The Struggle for Love.” Or listen to both. Listen while you wrap gifts or bake cookies. Then come back and share notes or comments. 13. Share your notes and comments. 14. How might you apply the lesson of Leah to your life right now? Dee, I love what term you coined here, a “Leah turn”. The practice of praising God for past mercies is a habit I would like to have. The names of her sons meant what she was thinking of God. Many of you knew of my struggles at school last year with one of my students’ mother. To be reported to the superintendent, to be harassed via E-mail was miserable. I cried many nights and pray to God to give me some relief. And He did. And I learned to be more vigilant and understanding of students with special needs. To see beyond the actions and the words and to love more even when it is hard. I believe God saw me and provided support through my director and my superintendent and some of my closest colleagues. Many artists comes to mind but for now it is Michael Card for me- The promise, Joseph’s Song; Simeon’s song. He tells the biblical stories so aptly and lyrically. And above all, the songs point to Jesus. I love the Michael Card album too — for the same reason. I don’t watch too much TV, and I especially don’t watch movies. However, I have seen a few Hallmark movies over the years. I was surprised to see “The Notebook” as a choice at our hotel last weekend; it’s been around a long time! I’m not sure if it’s about Christmas though. I can’t remember. I think theses movies are pretty sappy, everyone wins in the end (destructive because that’s not real life). They are redemptive for the same reason really, love prevails. Rachel was Laban’s youngest daughter. Rachel was “taken” by Jacob and lived more than Leah. She was jealous of Leah because of her children. She could have none. She fought with her sister and used her servant to bear Jacob 2 children. She was willing to trade her husband to Leah for mandrakes (?) that Leah’s son reuben collected. She stole her fathers’ household God’s. Even though she lied to her father about the God’s items she stole, she was sad but still carried on with the ruse. Rachel finally had a child and died in child birth. A. Genesis 29:16-18 – She was the youngest of Laban’s daughters, beautiful and was loved by Jacob. B. Genesis 29:30 – Jacob loved Rachel and married her after his bridal week with Leah. C. Genesis 30:1 – She could not bear children, was jealous of her sister and yelled at Jacob to give her children or she would die. D. Genesis 30:8 – When her maidservant gave birth to a second child she thought she won the struggle she was having with her sister. E. Genesis 30:14-15 – Rachel wanted some of the mandrakes that Leah’s son brought in but Leah didn’t want to give any to her since she took Leah’s husband from her. F. Genesis 31:19 and 31:34-35 – In verse 19 she stole her father’s household gods. In 34-35 she hid the household gods from her father and sat on them and lied to him on why she couldn’t stand up. G. Genesis 35:16-18 – As they were travelling she gave birth to a son Ben-Oni(Benjamin) but died in child birth. 10. How would you describe Rachel’s character, relationship with God, and legacy? – To me Rachel seemed like she would do what she had to do to get her own way. She stole what was not hers, lied, didn’t trust God to fulfill her life and was selfish, thinking she deserved and should have what she wanted. She didn’t always trust God with her life, she took things into her own hands and the result didn’t satisfy her. Her legacy is the lineage of children and a tomb that bares her name. 6. Worship the Lord by remembering a time, like Leah, you sensed God saw your misery, heard your cry and responded. What was it and why do you think He saw you and cared? The Lord met me during a time when I was grieving the death of my nephew, Thomas. I was in Dee’s online study, The God of All Comfort, and she asked us to read Psalm 30, “as a lover reads” and to “savor the word pictures”. (I remember word for word because I wrote it in my Bible). As I read about rejoicing coming in the morning and wailing turning into dancing, my heart was like a stone and heavy, and I couldn’t imagine the sadness being lifted. The dancing part didn’t make sense to me, because I was thinking “who wants to dance alone?” I wanted to give up, but I made a decision to try to pray the psalm and to worship Him through it, and as I read, He met me with a lovely picture of Jesus as my Bridegroom and that He would dance with me….verse 11 talks about Him turning my wailing into dancing and clothing me with joy, so that, in verse 12, that my heart may sing to You and not be silent, O Lord my God, I will give You thanks forever. I believe that God saw my grief and that He cared because, that’s what He does, that’s what He’s like. And, somewhere I read or heard that often when we choose to praise Him in the midst of a dark time, we may experience a breakthrough. I do have a favorite. Many years ago, I listened to Proclaim on Moody Radio with Joseph Stowell. One year, they offered a special Proclaim CD that had various songs and what I’ll call a mini-drama….like a narration or telling of a story with music in the background. My favorite was one told by Dr. Stowell about a shepherd boy who is lying under the stars one night with his father, and they are talking….the young boy is lamenting the fact that he was born a shepherd because they are at the bottom of the social heap. His dad is wisely listening and responding when suddenly….the angels appear announcing the birth of Christ. The shepherds hurry to see….the music is beautiful….at the end of this story, the young shepherd boy is now an adult, and he sees Jesus as He is with a crowd, teaching, and their eyes briefly meet, and he wonders….does He remember me? That night. When my children were very young, I would gather them on Christmas Eve, light the Advent candles, and we would listen to this. I would always cry. Every year we did this, until they were in high school, I think, and refused to listen anymore. But I still listen every Christmas. 8. What is redemptive and what is destructive in Hallmark Christmas movies? Is there a Hallmark movie or show you have seen that you recommend? They can be redemptive in that overall, they are clean, wholesome movies that portray family values; often, for example, the big city girl climbing the corporate ladder realizes that her small hometown where life is simpler and where she has family is where she truly belongs. My daughter and I enjoy watching them together. We watched A Shoe Addict’s Christmas on Sunday and there were references made to God in the movie. Downside is that these movies can stir up longings that really can’t be fulfilled this side of heaven or through a romantic relationship, marriage, or marrying a prince. I always think that these movies might make a lonely person feel worse at the holidays. One movie I thought was neat, and I don’t remember if it was on Hallmark or not, but was called Christian Mingle, was about a young lady who was trying to meet men on a Christian dating site; she did meet a Christian and was desperately trying to read the Bible and bought a “Christianity for Dummies” book, trying to appear that she was a Christian. The Christians in the movie were very stereotyped….but, at the end of the movie, it portrayed her admitting to the guy that she wasn’t what she said she was, continuing to read the Scriptures and finally getting it, and she did become a Christian. It’s like she pursued God, for God, and not to get a man. Susan — both you and Sharon give Rachel the bqebefit of the doubt because of Joseph. Could be! Rachel had a nice body and was beautiful. Jacob was in love with her. Rachel was more sexually pleasing to Jacob and he loved her more than Leah. Rachel was consumed with jealousy because her sister was having children and she was not. She angrily blamed Jacob. Rachel feels that she is in a great competition with her sister and that by having another son, she has won. Rachel wants some of the mandrakes that Leah’s son has gotten for his mother. Leah said that Rachel had “taken away my husband”. Rachel agrees to let Jacob sleep with Leah that night if she will give her some mandrakes, so it sounds like Jacob was spending every night in Rachel’s tent. Rachel didn’t seem to care that she wasn’t sharing their mutual husband. Rachel died in childbirth, giving birth to Benjamin. (She had named him Ben-Oni, meaning son of my trouble) Did she die without hope? I’m not sure that she had a relationship with God, at least initially? She stole those household gods; did she worship them and give them credit for the good things in her life? If so, then at heart, she was an idolater. Her life gives evidence of the idols of power/control and approval/affirmation and comfort/security, but God was not any of those things for her. He was not seen by her as being in control, or her source of approval or security. She exhibited selfishness, self-preoccupation and jealousy. About her legacy; though Leah was the mother of Judah, from whom Jesus’ lineage came, yet, I think God was generous in raising up Joseph out of Rachel. Joseph was HUGE….a Christ-like figure and a prince among his brothers, preserving his family through a famine. And Joseph grew up to be a man of such character and devoted to God (can you tell I really like Joseph) and this is an amazing thing that God did to make him so, because his father spoiled him. When Joseph was born, according to Genesis 30:22-24, it says that God remembered Rachel and He listened to her….God’s mercy, and Rachel did say, “God has taken away my disgrace” and also “May the Lord add to me another son.” So I wonder, at some point did she have a turn, like Leah did? I don’t think we can discount her. 11. The quote from Leslie Williams hit me between the eyes. “Without knowing fully what we are doing, we hide the things we secretly love under our skirts, like Rachel, sitting primly and righteously on our camels, wondering why we are not whole, why we still suffer, why we are not reconciled to the God we profess.” And I can say from current experience, it is no better to be open about what you’re sitting on. It is still sin. i love love that quote Mary! 8. Hallmark movies…Hmm. I love them because the main character usually sees or is shown a bad trait about themselves…selfishness, pride, unforgiveness, unkindness, etc. They are predictable and for the most part wholesome. Yes, they may be destructive because they always have a happy ending and the characters are always beautiful/handsome, but there’s change that takes place on the inside. I wish they were Christian in that they would portray that real change only comes through knowing Jesus Christ, not getting the man/woman, career or some magical happenings. A. She was Laban’s younger daughter, had a beautiful figure and lovely face and Jacob was in love with her. B. Jacob consummated the marriage with her and he loved her more than Leah. C. She couldn’t conceive and became jealous of her sister. Pleaded with Jacob to give her children or she’ll die! E. Told her sister she could sleep with Jacob in exchange for mandrakes Rueben had found. F. Stole her father’s household idols and hid them in her camel saddle, when her father came looking for them and didn’t find them in her tent, she lied about why she couldn’t get down from her camel. 10. From what I discovered from the above verses it doesn’t seem that her character and relationship with God was good, but then I see how Joseph turned out. It is my understanding that the mothers taught their children and I feel that sometime in her life there must of been a change, a relationship with God developed and she handed that down to Joseph…I’d say that was quite a legacy. A. Jacob buried Leah where Abraham, Sarah, Isaac and Rebekah we’re buried and he himself was eventually buried. It is interesting that Leah was buried there and not Rachel. B. For Ruth they prayed “…May the Lord make this woman who is coming into your home like Rachel and Leah, from whom all the nation of Israel descended! May you prosper in Ephrathah and be famous in Bethlehem.” She and Boaz had a son, Obed, who’s son was Jesse, who was the father of David. Interesting thoughts on Rachel and Joseph! 8. I don’t watch Hallmark movies. My opinion is they are destructive because the stories are not realistic. However, with that said, I believe they are redemptive because they are a foretaste of Heaven where life will finally be perfect. 9. A. Rachel is beautiful younger daughter of Laban who was greatly loved by Jacob. C. Rachel was envious of Leah ‘s fruitfulness in childbirth. Rachel was not used to being bested by her sister. D. Rachel had Bilhah be her surrogate so she could win the “I’m having Jacob’s baby” wrestling match. E. Rachel wanted her nephew’s mandrakes (similar to potatoes) which were thought to be an aphrodisiac and fertility aid. F. Rachel was a thief and a liar. Harsh words but maybe she wanted a keepsake to remember her father since Jacob was moving the whole family away from Laban. 10. My initial impression is Rachel may have had narcissistic tendencies. She may have been use to having her own way. When her dad agreed Jacob could marry Rachel I’m sure she was walking on air. So when Leah took her rightful place everything Rachel anticipated was put on the back burner. She probably felt cheated. In Eastern culture it’s a great shame for a woman to be barren so I’m sure watching Leah bear Jacob six sons and one daughter was sheer torture for Rachel. She had her faults but God chose her to be the mother of Joseph-a foreshadow of Jesus Christ. 11. I believe as the years rolled by Jacob took note of Leah’s inner beauty. In spite of the rocky start to her marriage Leah was a faithful, loyal, loving wife and mother. She chose not to be bitter about her life experiences. As first wife she was probably considered to be the matriarch of the family and being buried in the family plot was her rightful due. 12. The women in Bethlehem prayed Ruth would be like Leah and Rachel in that she would be a “house” (descendants) for Naomi. Ruth was the mother of Obed the father of Jesse the father of King David through whom Jesus Christ was a descendant. Revelation 5:5 …The Root of David has prevailed to open the scroll and to loose the seven seals. 12. Leah’s character, relationship with God, and her legacy. Seems to me Leah learned God was aware of her suffering. She also learned she could trust the covenantal God of Abraham, Isaac, and Jacob to be faithful, loyal, and loving. For me, Leah’s greatest legacy is the Nation of Israel. A. Genesis 49:29-33 – She was buried in cave where Jacob’s fathers and their first wives were buried. Some of the well respected people of that time. I may be reading more into the above than is there, but I wonder if Jacob came to appreciate Leah and liked the idea of being buried near her. What do you think? – I think you are right Dee, as we get older what is important to us seems to change. It’s no longer the look of someone but who they are deep down that matters to us. Beauty as they say is only skin deep. B. Ruth 4:11 (Look deeply at the prayer of the women of Moab for Ruth. What did they pray and in what way does Ruth, indeed, follow in the steps of Leah?) – To make her like Rachel and Leah, she conceived and continued to build Israel with her offspring and family line. 12. How would you describe Leah’s character, relationship with God, and legacy? – She comes across to me as a little bitter, rejected and conniving. Her relationship with God was not strong in the beginning, she thought more of her relationship with Jacob and how she thought he would love her by giving him more children. She later realized the true relationship was with God. He was the one providing for her and she finally learned to trust in him. She is buried among some of the greatest people of that time and Jacob is joined with her in the end. I have a few times when I felt like the Lord showed me that he saw me. One time was during the period of time when we still didn’t know who had assaulted our son, it had been 3 years since his death, after a particularly trying day at work I was weeping and crying out to the Lord. I had held that our not knowing anything about what had happened may have been the Lord’s kindness to us, but this day I prayed, if you think we are ready, maybe it is time we knew. About 10 days later the sheriffs’ office let us know that they had someone in custody. I have wondered if that very day that I had prayed was when they were given the information that led to the arrest. I was an emotional wreck. That same time frame was when Dee posted here on the blog the picture of the map with the arrow that said “You are Here” The map was a picture of the hospital campus where Daniel passed away with the arrow pointing to almost the exact spot where Bill and I went and sat outside after all hope was gone. oh dear Chris, it breaks me every time you share–but this , I love this–“I know he was clearly telling me that I was seen by Him”. Because you stayed soft and let Him into your terrible, tragedy that no words can describe..it allows us to see more of who He is, we see more facets of His love in the ways He has met you in this dark pit. Chris, I remember very well that blog post of the map with the arrow, and how you shared it was the place where you and Bill sat outside the hospital. I echo Lizzy’s words….thankful that you have opened up your heart here to share with us in your worst tragedy….we have seen how He was with you and heard you and yes, you were seen by Him. Chris, I remember, and I love you. I’ll never forget that Chris! Chris-tears for you. God saw you…and even now. I know I am late commenting here about this, Christina, but I remember this too. I am so glad to see you here. And it is so helpful to remember “I am seen by Him”. Nothing is more precious than by know we are seen and loved, held, protected by the One who is Love. Jacob survived his wife Leah, and he buried her in the same cave where Abraham and Sarah, Isaac and his wife Rebekah, were buried. Jacob requests that his sons bury him “with my fathers” in the same cave. I think it was a matter of practicality that Rachel had to be buried there, and quickly, as there was no way to preserve her body and bring it back home. I am assuming that if she hadn’t died as they were traveling, she too would be buried in that cave. Did Jacob come to appreciate Leah? I hope so….as he aged and matured. I’m not sure it is the “women of Moab” praying here for Ruth? Boaz had just announced that he had acquired the Moabitess, Mahlon’s widow Ruth, as his wife, in front of the elders and everyone gathered there at the town gate. Then it says that “the elders and all those at the gate” said “May the Lord make the woman (Ruth) who is coming into your home like Rachel and Leah, who together built up the house of Israel.” So both Rachel and Leah are credited with building up the house of Israel. However, we know that Ruth and Boaz had a son who was Obed, the father of Jesse, the father of David, so Ruth carried on the line of Leah. The priest who came from the order of Melchizedek was Jesus, who descended through the line of Judah, Leah’s son. Jesus is the Lion of the tribe of Judah. Judah was Leah’s son. I think Leah was a woman refined by the fire of suffering. I don’t want to make her out to be so much better than Rachel because they were both sinful women, just like we are today. Leah appeared to be born with a disadvantage in her appearance, and it must have been very hard living in the shadow of her beautiful and desirable sister. She had to live with the knowledge that the reason for her marriage was not because Jacob wanted her, but was tricked into marrying her. I’m sure she had to fight against being jealous and resentful every day. We see how she progressed from hoping each child would earn her the love of Jacob to praising God, yet she may never have been fully over this, because in Genesis 30:19, Leah says, “This time my husband will treat me with honor, because I have borne him six sons.” So it is the same with us; we take steps forward and then one backward. I believe her being aware of being “second” continued on for years; I noted that when Jacob was going to meet Esau and fearing that Esau might exact his revenge, he put his family in this order: the maidservants and their children first, then Leah and her children, and Rachel and Joseph in the rear, which would be the safest position. I can only assume Leah remained a faithful, steadfast mother and wife and perhaps lamented to the Lord and received comfort and strength from Him. I’m going to skip to this question and answer it as I haven’t listened to the sermons yet. I can fall into the trap that Leah fell into, at first, which is having a victim mindset, being controlled by my circumstances instead of changing my perspective and letting the circumstances shape me into the person God wants me to be, and believing that if I have this, or get recognition, approval, love, for that, THEN I will…. (fill in the blank). Leah was indeed blessed through her many children, and I’m sure they gave her plenty of love and attention, yet the one thing she really wanted eluded her. There will always be one, or more, things that I feel I need to be happy and fulfilled, and I need to switch my mindset to praising and thanking the Lord for what I do have and see that He alone is the Giver of all good gifts; He will open His hand and give to me what He feels is best for me and at the time He knows I need it. Leah got her eyes off of herself and onto God, and that’s when she had a breakthrough. Yes, Susan, God is the giver of all good gifts. I also need to get my eyes off myself and onto God, praising and thanking Him! Susan, such wise, wise words! 11a. Since Jacob choose to have Leah buried where he would be buried, I think that without the eclipsing presence of Rachel, their relationship changed. The Bible doesn’t give us details of whether Jacob came to love her or just see her or respect her. Maybe it was just all those sons. b. Ruth…the people of Bethlehem prayed that Ruth would be like Rachel and Leah, building up the house of Israel. And that was honored, as Ruth joined the line of the Messiah. c. Another of Leah’s sons became the priesthood, bringing the law to Israel. d. Leah’s son Judah became the tribe of kingship. The Lion of Judah, the root of David, Jesus, is the only One able to open the scroll and it’s seals. 12. Leah went through a lot of pain and suffering, but true riches came out of it. She went to her grave knowing God. A song has been running through my mind this morning. It will be worth it all when we see Jesus one glimpse of his dear face all sorrows will erase. Life’s trials will seem so small when we see Christ, so bravely run the race til we see Christ. I think Rachel was all about herself….she cared for no one else. I don’t think she had much of a relationship with God. I suppose, as others have said, she bore Joseph, who was a blessing to God. They prayed that Ruth was as strong as Rachel and Leah, and that she would have many offspring. I don’t see how Leah is portrayed in this passage. Was the “Lion of Judah” from Leah’s offspring? I am not following because I don’t know enough I suppose. I think Leah trusted the Lord. I think she believed he would be there for her when she needed Him. I think her legacy led to the birth of Christ, but I’m not sure how the lineage played out. Was it because of Judah, her son, that Christ was born? in his introduction he said something quite profound. “A relationship with God does not automatically remedy the holes in us.” Somewhere I heard that it can actually make us feel worse, because now we know there is a better way to live, and we aren’t living it. There are times I still get caught in that, but over all my years with Him there has been a lot of fixing and healing. Jacob deals with the brokenness and sorrow in his life by pinning his hopes on this beautiful girl, Rachel. He thinks that if he had her, then his life would make sense and be better. The modern way we do the same thing is to invest way too much into the idea that we need to find our soulmate. We think that this person will make us complete and be the answer to our sense of worthlessness. Leah did the same thing with Jacob, thinking that if she could just get him to love her, then she would be satisfied. b. Leah’s lot. She has the same background sorrow and pain that Jacob does. Though she is the older, she is not the favorite of anyone. She recognizes in Jacob someone who should be able to understand and empathize with her. In truth, Jacob is her soulmate; he just doesn’t see it. Morals, strength, heroism don’t get you into God’s story. You don’t go running after God trying to impress Him so that He will take you in. He comes chasing after you. And even after He has made Himself a part of your life, you are still weak, immoral, and in need of Him. First lesson to learn. In all of life there is disappointment. No matter how many times you think you have it made, that you’ve gone to bed with Rachel, in the morning it will always be Leah. Second lesson. In all of life there is hope. If you’ve had sorrow, pain, been rejected, remember that so was God. He is your real soulmate. Turn to Him. Thank you, Mary, for these notes. I see some wonderful lessons, Yes, God is our real soulmate, as we turn to Him! C. Hebrews 7:11: Jesus, was a priest in the order of Melchizedek, and he always lives to intercede for us. He always seemed mysterious to me when I read the story in Genesis. D. This is a beautiful prediction of the Lion of the tribe of Judah: Stop weeping! For the Lion of Judah has won the victory! From birth to death to resurrection and forever more! to her hope to get affection from her husband as she bore him sons, to finally giving the glory to God.and accepting her lot as mother and servant of the Lord God. Timothy Keller has a special way to describe the Bible and apply it to our lives. Yes, he says, marriage is always hard and he tells the story of Leah and Laban’s plot, tracing the story back to Jacob and Esau ‘s competition with Isaac. The pride of Esau and the deceitfulness of Jacob came back to remind Jacob. After the details of the plot and Leah’s naming of her sons, he relates the Gospel message. It is first bad news of sin and its devastating power, the cosmic disappointment in hope of a perfect marriage and the idolatry we resort to by putting hopes of happiness in family. The Good News is that God works in very weak people, who do not deserve his grace. He uses others, like Laban, to humble us and show us our faults. God is attracted to the weakest and most broken of all, He came for sinners like me… Yes, it all points to the picture of the Light, and how the light shines out into a dark world. that is the broken pot of myself and may my light shine each day. In Keller’s sermon The Struggle for Love the question Where are the Heroes is asked. He states there are none. Biblical faith tells us God intervenes in the lives of messed up weak people. Other faiths say have to get to the top of the ladder by keeping virtures. Morals won’t get you into God’s story-God comes into my story. Leah looked to Jacob to be her savior-she assumed he would make her life meaningful. She eventually took the deepest passions of her heart and put them on the Lord. Leah didn’t have the designer life, however, the unlovely girl nobody wanted became the mother of Jesus. Isaiah 53 tells us Jesus became weak and ugly so when we believe in him even though the world sees me as Leah, God sees me as Rachel. How can I apply the lessons Leah learned to my life right now? My marriage has been a difficult one in many ways but this week’s lesson reminded me that God always sees and hears and He has promised to be “my husband and my maker”. Leah did not know it then but God did have a reason for her to be in this marriage. She did serve a purpose through her pain. Leah is the mother of Judah which in turn makes her the ancestral mother of the Davidic line which is the line of Christ. God proves to us that despite the agendas of man or woman His will cannot be altered. This also teaches that we cannot always see the purpose in our struggles yet we still need to trust in the Lord’s plan. That’s good, Lucy. And yes, He is your Husband and Maker. Rachel acted like an entitled person. She did whatever she could do to get what she wanted and was in constant rivalry with her sister, Leah. She was also seeking idols as evidenced by her hiding the household gods of her father. She left Jacob and us, Joseph and Benjamin. I would like to think that she grow to love God better through the influence of Jacob and perhaps even her older sister, Leah. I thought this was a great example of the sovereignty of God through all circumstances. Both Leah and Rachel gave birth to the nation of Israel. I like to think of it this way, too, Dee. Although I believe, Rachel was always first in Jacob’s heart. I like to think that Leah blossomed spiritually as the years went by in her relationship with God and with Jacob. She leaves behind a lesson on the sovereignty of God despite the maneuverings of man. Because of Leah, we had Judah and out from his lineage, our Savior and Lord. I wasn’t able to listen all the way through to Keller’s sermon. But of that which I heard, I learned I can not look to anybody to be my soulmate. Even my husband. This earthly life is, and will be full of disappointments, a pining for “Rachels” only to wake up in the morning to find our “Leahs”. Because we are made for another world for which we have longing for and that nothing, or nobody can ever bring about. Thank you, Jesus for being our soulmates. You alone can satisfy. Leah did not know for sure what she signed up for. For all I can surmise, Leah may have fallen in love with Jacob at first sight just as Jacob fell in love with Rachel at first sight! I once loved a man and thought he was my soulmate. But God took him away from me for which I did not understand at that time. My world crumbled and I felt so unloved and forgotten. I pined for several years and was slow on the draw to opening my heart to somebody else. For the first few years of my married life to Richard, I often wondered how life would have been if I were married to the other guy. Not that I regretted marrying Richard-he is the one who God know I needed in my life as part of His plan. Although I did not ask for an American husband, mind you. LOL I am realizing now, that like Leah, I have a story of my own and it is being weaved into a bigger story of my Savior and Lord. Right now, I pray that when I feel unloved, lonely and forgotten I will make Leah turns and praise God for what He is doing in my life and those I love. I know He sees, hears and love me. Oh, that I too will make “Leah turns” when I am hurt, instead of pining for the ideal life that I think I deserve but can never have in this life, because God is still working on my sinful self to make me Christ-like. Like Leah I too looked to a man to be my savior. The night before I got married I could not sleep because running through my mind over and over was this thought: “Tammy do not marry this man.” I told myself I was 30 years old and I knew what I was doing. I told myself if I canceled the wedding I would be humiliated. 14 years later I learned I had been duped by a bigamist and I was publicly humiliated. I had to give up what was never mine to begin with. There are times I still mourn my dead marriage. It has been 10 years since that devastating experience took place. I no longer believe I need to be married to live a full rich life. The lesson I learned from Leah is not to allow bitterness to take root in my heart. Forgiveness affords me inner peace. The story of Leah has forced me to look deep within the recesses of my soul. I didn’t like the self-discovery but I faced myself head on and allowed God’s Spirit to correct me. Keller stated the process of transformation still entails family disasters and mistakes. All of my life I have yearned for the love my family is not capable of giving. I heard the late Billy Graham state in a sermon that people who had never been taught to love didn’t know how to love. During this study it dawned on me that right in front of me is the love and respect I have always desired. My nieces and nephews love and respect me and are teaching their children to love and respect me. Bing pointed out God is still Sovereign no matter what man does. One day the last page of the story of my life will be read and I will leave this earth. Lord I pray future generations of my family will become men and women of faith. Tammy, I didn’t know your story. Thank you for sharing it. I pray God will continue to come close to you and meet all your needs. Tammy, what deep sorrow you have been through! Hugs to you! I can’t imagine … Praying that God will bless you in the midst of your pain.